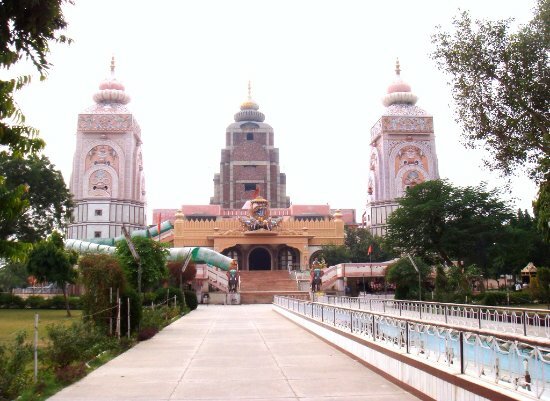 Agroha (Devnagari: ) is a Hindu temple complex in Agroha, India. Construction started in 1976 and was completed in 1984. 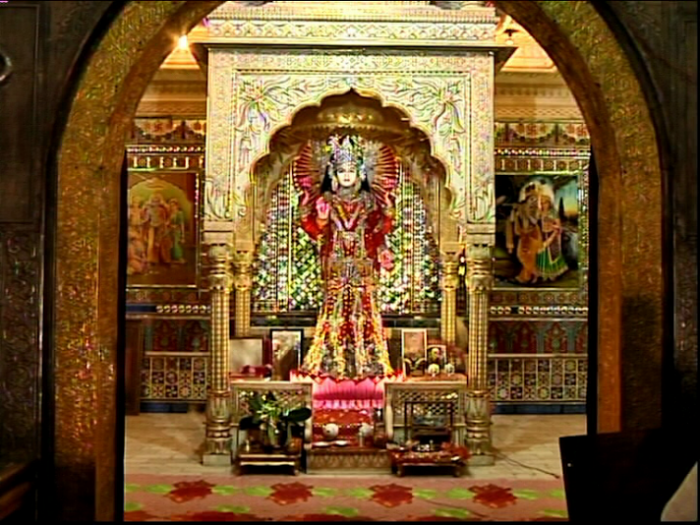 The temple is dedicated to the Hindu goddess Mahalakshmi. The main temple is divided into three wings. The central wing is dedicated to Hindu goddess Mahalakshmi, western wing to goddess Saraswati and eastern wing to Maharaja Agrasena. Shakti Sarovar is a large pond behind the temple complex. It was filled with water from 41 rivers of India in 1988. A platform at the north-west end depicts the scene of Samudra manthan. A naturopathy center is located near Shakti Sarovar, where treatment is done through yoga. An amusement park with a boating site has been built near the complex. The Agroha Maha Kumbh festival is held every year on Sharad Purnima. The main domestic airport in Chandigarh is served by the national carrier and is connected to Delhi, Mumbai and Leh. Haryana is very well connected by convenient trains from all over India with many long distance trains crossing the state as they link up the east-west and the north and south regions of the country. Pre-paid auto rickshaw, rickshaws and taxis are available outside most stations. The Shatabdi Express connects Ambala and Chandigarh to New Delhi. Besides those, there are other superfast/express trains to both places. The simplest way to travel into Haryana from one of its neighbouring states is by road. The approach roads are all in good condition and driving is always a pleasant experience. All along the highways, there are well maintained tourist rest houses with restaurants and rest rooms. The state roadways and private bus services are regular and connections good.